Like most of my other CBD vendor reviews, I discovered Seattle-based Lazarus Naturals via Reddit’s r/CBD. Users tout Lazarus Naturals as one of the more affordable vendors out there that provide the same top quality Cannabidiol as more expensive vetted vendors. What I Purchased: 10mg CBD capsules. Also available in 25mg and 50mg. Product Description: Vegan, gluten, and artificial flavor free. May take up to 2 hours for full effect. Other ingredients include Rice flour, Silicon Dioxide, Hemp Oil, MCT Oil, Organic Grapeseed Oil, Organic Limonene, Organic Myrcene. Quality-wise, Lazarus Naturals did live up to other online vendors and the like. I was appreciative of their low dose 10mg option, since I’m sensitive to CBD. Even at 10mg, I felt the unwanted fatigue that generally made me a bit tired, slow, and lazy. The anxiolytic effects were there, but I’m unwilling to compromise at the expense of my physical and mental energy levels. I did experience anxiety relief sans fatigue at the perfect dose (~5mg, see below), but this was not easily reproducible. 10mg (1 capsule): A tad too strong. As a general feeling of laziness slowly enveloped me, my productivity was slightly but noticeably reduced. Said laziness was not abated by caffeine, but YMMV. Perhaps a good dose for post-work relaxation or unwinding. 5mg (1/2 capsule): A hit or miss for me. Sometimes paired well with caffeine, but other times were still too sedating. Variability likely due to opening the capsules and eyeballing. 30-40mg+: My sweet spot for insomnia! 3-4 capsules taken 1-2 hours before bed produced pleasant relaxation and wiped my sleep anxiety away, sending me quickly and deeply into the Land of Nod. Personally, I’d avoid Lazarus Naturals for daytime anxiety and instead take their CBD to aid insomnia. Their capsules consistently helped me sleep deeper and better. I’d definitely recommend giving their products a try! YMMV. 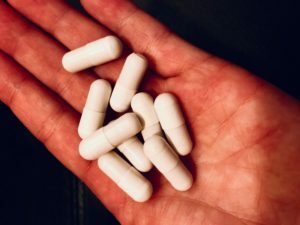 Lazarus Naturals CBD Capsules helped relieve my insomnia, but not so much my anxiety. If you've also tried Lazarus Naturals, leave a rating below! Hey there, neat web page you have presently. thank you! how did you come across it? oh no! sorry to hear your first comment didn’t go through. as for tips, i think learning about SEO is a helpful skill to have. I admire your work, appreciate it for all the good articles. Thank you a lot for sharing this with all people you really recognise what you’re speaking approximately! Bookmarked. Please also visit my site =). We may have a hyperlink alternate contract among us!